And, y’all also were crazy for my first ever Amazon haul! If you missed it, I did a live try-on session on Stories and saved it to my highlights if you want to check it out. Now that I know how many good things you can find at Amazon, I’m excited to keep looking and bring you another fashion haul soon! What was your fave? Have you gotten your orders yet? I want to hear from you and that will also help me for future posts! 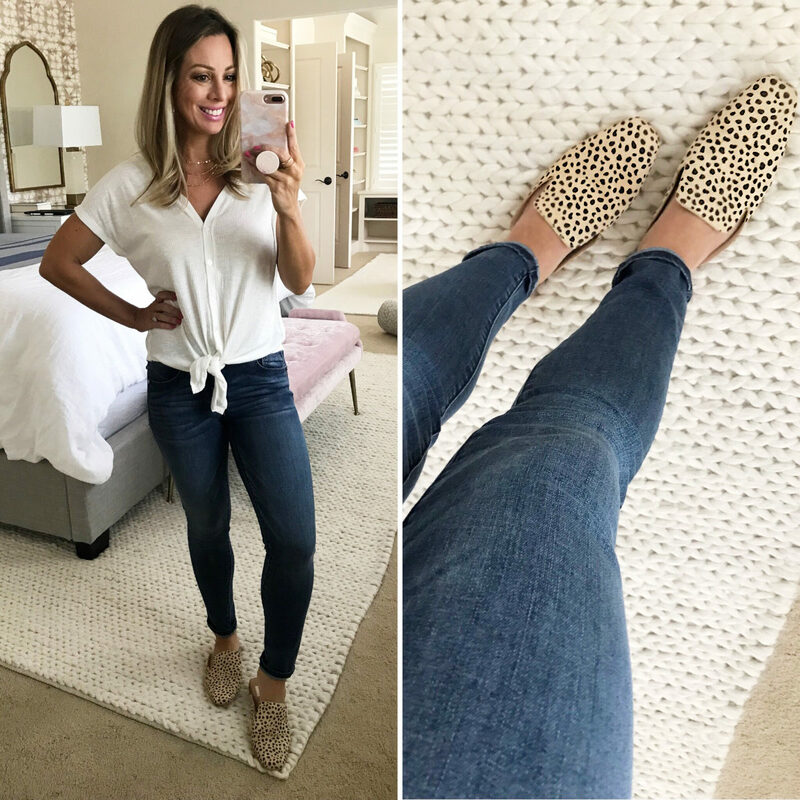 Today, we’re heading back into the dressing room with some fun new things for Fall including some really cute leopard print shoes! One of the things I’m most excited about is the darling leopard loafers and leopard slides. They’re perfect for transitioning to Fall when sandals seem so last season, but you’re not quite ready for booties. These will perk up your outfit and keep your feet nice and comfy! 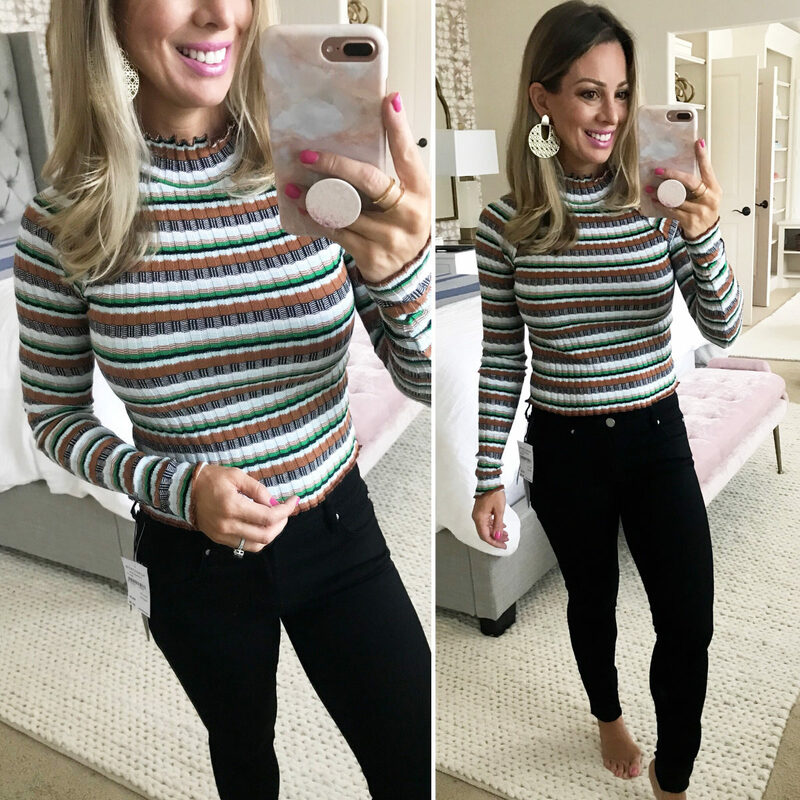 And definitely take note of these colored jeans (so flattering, comfortable and priced right), this wrap sweater (sassy and sweet), and this plaid dress (perfect for holiday parties and pictures!). 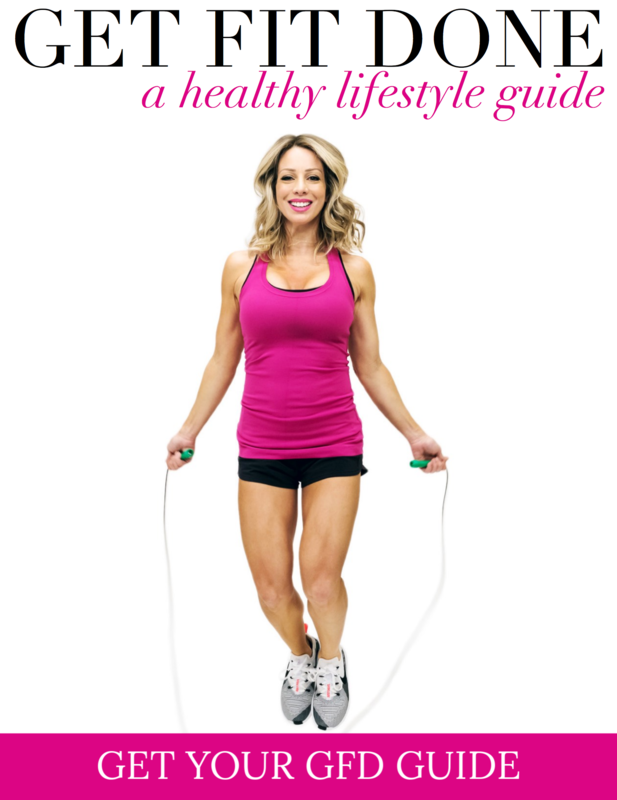 I always give fit tips to help you order, TTS means True To Size. Who else remembers Duran Duran and who their favorite band member was?! #TeamNick! I’m not a huge concert t-shirt person, but I couldn’t pass this one up! It’s burnout style with split hem sleeves and muted colors. I feel extra cool in it! You’ve heard me raving about these jean shorts all summer and they’re still going strong! I’ll probably be wearing them well into October with our weather! They’re perfectly distressed and slouchy. Shorts Fit: They run big, I sized down 1 to a 24. When I ordered James’ backpack, pants and shorts for school, I also saw these jean shorts for only $10, on sale for $8! As much as I wear jean shorts, I had to try them! They are a lighter wash and lightweight material- kind of a like the less expensive skinny jeans. I would keep them, but they were a bit small on me. The top, on the other hand, fit perfectly! I like the mixed stripes, cuffed sleeve and little front pocket. It comes in a ton of colors/patterns and is only $10! I noticed this top got mixed reviews, but mostly because it runs so big. I know that about this brand, so it didn’t shock me. Otherwise, I thought it was really cute. I like this style top that’s got some detail like the smocking at the top and ruffle sleeve, but then flows away from your body and is so easy to wear. 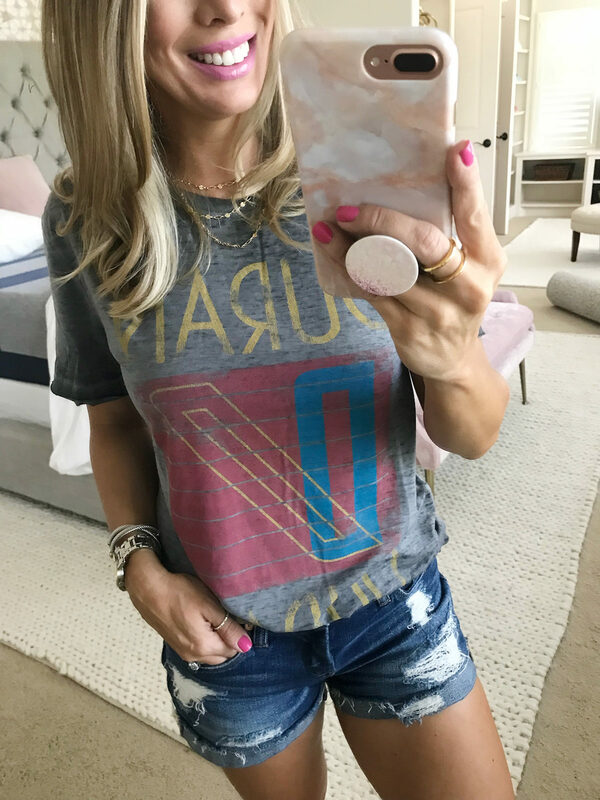 This tee was in my August Loves and I liked it even better in person! I feel like the sentiment goes perfectly with the Take Care of You post. 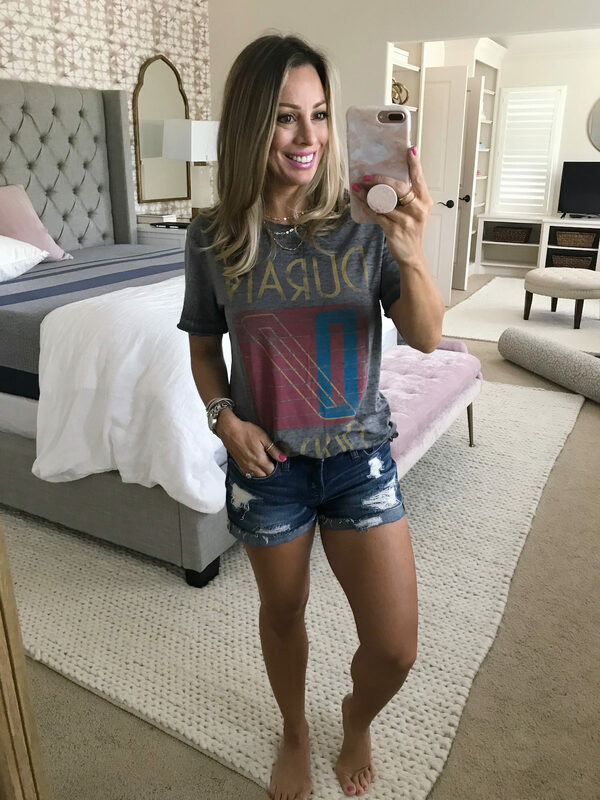 This kind of tee looks great dressed up with a blazer and jeans for a night out or with a cardigan in the Fall. I’m smitten with the vibrant color and quality crochet in this tank style top. The crochet pattern is nice and bold and lined through the body with a bit of the asymmetric hem handing down for contrast. It also comes in white for you neutral lovers! I’m wearing the 9-inch Madewell Jeans and feel like they are a perfect higher rise jean. Madewell really knows how to make jeans- they feel like such good quality, not at all a cheapie material. This pair has a ‘chewed’ hem and nice darker wash. Jeans Fit: I sized down 1 from 25 to 24. Although back-to-school has me ready for Fall, we’re still in jean shorts and tanks most of the time over here. I like the swingy shape on this one with a cute tie front. I would wear my strapless bra with it though;) It’s also 40% off now. Okay, let’s get to the leopard shoes now! Like I was saying above, these ‘in between’ season shoes are idea for wearing now when it’s not really summer anymore, but Fall isn’t quite here yet. I started with these leopard calf hair loafers that are particularly work friendly. You could definitely wear these with slacks, skirts and dresses. The pointy toe elongates your leg and doesn’t look crazy “elf shoe” long. I really like the simple style and appreciated that they come in wide widths since I have bunions. Now ladies, these calf hair leopard mules are bananas good! They are so so cute and the clean style is perfect for lots of outfits! The toe isn’t quite as pointed, they call it squared, but it still has a bit of a feminine curve. And the side have a cute little v-cut. They slip right on and feel as easy to wear as sandals. Next up, snakeskin inspired heels! I’m a big fan of this style heel and have it in several colors. But, this snakeskin print is so cool! I love the wooden chunkier heel and thin ankle strap. They are on the higher side, but the heel balances them out. They are a staple in my closet and I’m always reaching for them. I had to take a peek at the sweaters (a girl can dream! ;) And a new FAVORITE pair of colored jeans! GET THESE JEANS! They are seriously so good. They’re the same brand as the skinny jeans above that I’m crazy for. They have such a slimming fit with soft fabric and that Ab-solution technology to “shape, smooth and lift in all the right places.” They come in 7 gorgeous Fall colors and are only $68. I’m wearing the Dark Byzantine, which is a lovely deep Cabernet color. The chenille sweater is that softest material that feels like you’re wearing a cloud. It’s slightly cropped with drop, slouch shoulders. This soft wrap sweater *might* be able to be worn sooner rather than later since it’s a thinner knit. The low neckline is sassy, and it sits right at the waist. I really like it in black and white too. Here’s the perfect type of sweater to show off a peek at your pretty bralette! Or, if you’re more conservative, layer a tank or cami underneath. Don’t forget the power of a great black jean! This skinny pair is comfortable (plenty of stretch, but not too much), fits well in all the right places and is only $64! Wear black jeans with anything you’d wear black tights with and then some because you don’t have to worry about covering all the lady parts. I really like mixing black with brown and other tan neutrals in the Fall and Winter- it looks super chic! BLACK JEANS FIT: TTS, but if you’re in between sizes, size down. I’m wearing 24 here, and when they stretch a little more, they’ll be more comfortable. This fun, vibrant sweater is extremely soft and stretchy. It’s a rib knit that’s think enough to be tucked in and worn with a skirt. The colors in this top drew me to it, but I didn’t realize how crop it was until I put it on. It would be a little longer on a less chesty woman. After I had it on, I thought it would look really good with high waist jeans or pants. I’ve been so curious to try the Gal Meets Glam dress collection and the first dress I tried is a winner! The plum color is fresh for fall and the style is a wear now and later. It would be cute with booties and leggings in the fall with a cardigan. I scored the raw edge hem v-neck tee during the Anniversary Sale. It sold out so fast, but now it’s back in all sizes and colors and only $17! The maxi is a fun high/low skirt with an unfinished hem. It’s a surprising material- like an ultra comfy jogger! Because of that, I’d wear it with everything from sandals to wedges to sneakers. It’s also thicker- so perfect for Fall weather. Bring on the holiday parties and Christmas card photo shoots! 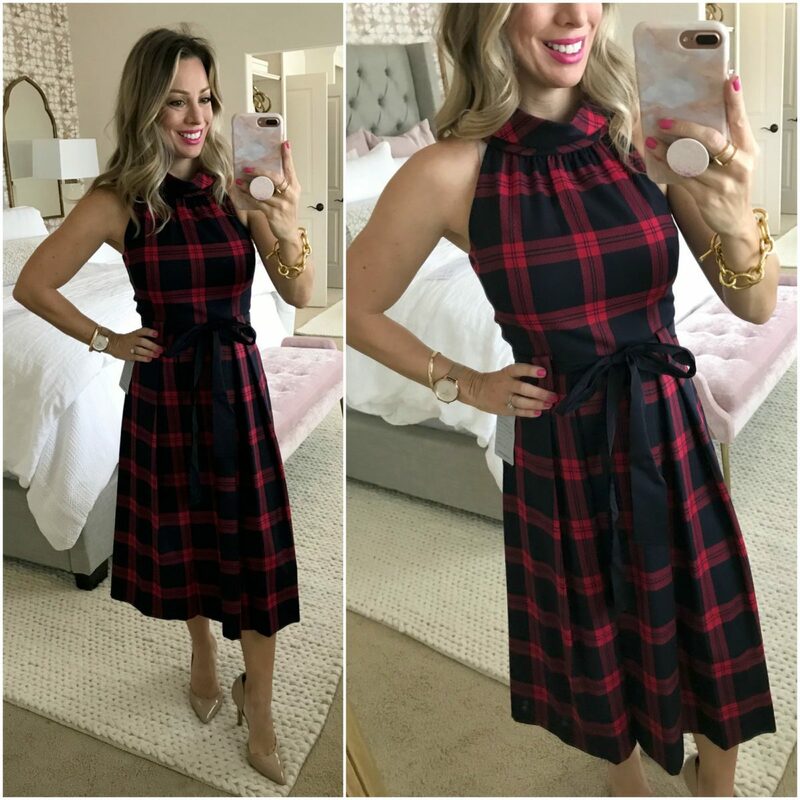 How stunning is this plaid dress?! It’s so fun and gorgeous and I could just see the whole family all decked out in their Christmas cards in it! It’s actually a navy and red and such a flattering A-line fit. The back is a darling V, but you can still wear a bra with it- racerback or strapless preferably. The collar is beautiful too! The grosgrain ribbon belt is a sweet touch and you won’t believe it’s machine washable! I’m off to a blogger brunch this morning and then my son gets out of school early! I’m just so happy we survived this week! My picks: If you love the look of a step hem skinny jean, these are a great option at $41. Last fall’s favorite fall cardi is 40% off! 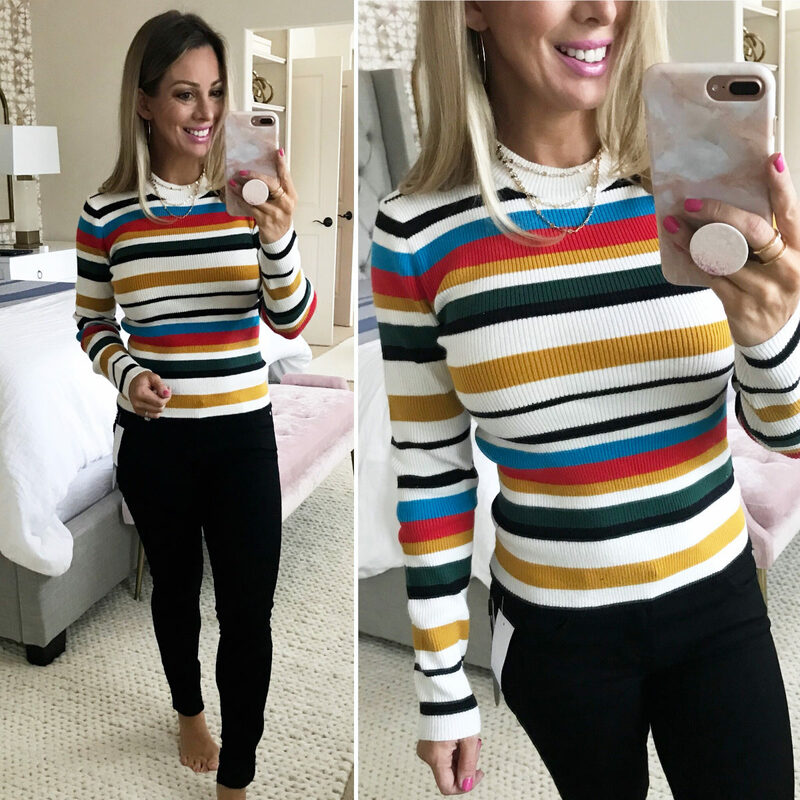 My picks: A boat neck, 3/4 sleeve shirt with stripes! This gingham shirt has ruffle sleeves! 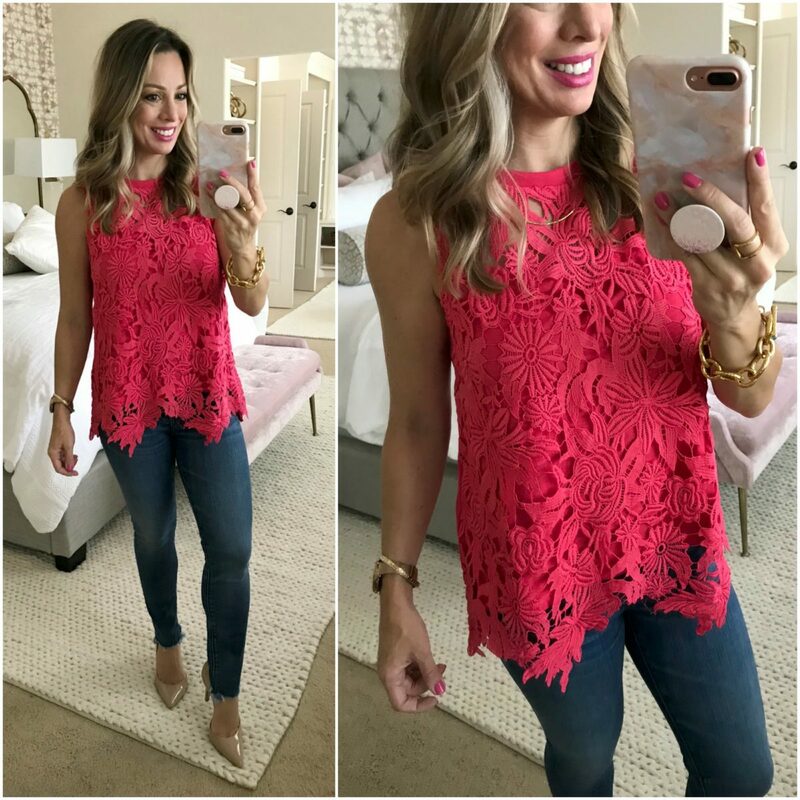 My picks: This little floral top has flutter sleeves! This tank is simple, but with a cute little cutout detail! My picks: I love a good plaid button up in the fall and these are $20 Off! This knot-front blouse will look sooooo cute with some high waist jeans! My picks: This tank is a wrap, a peplum, a v-back and an asymmetrical hem all in one shirt! 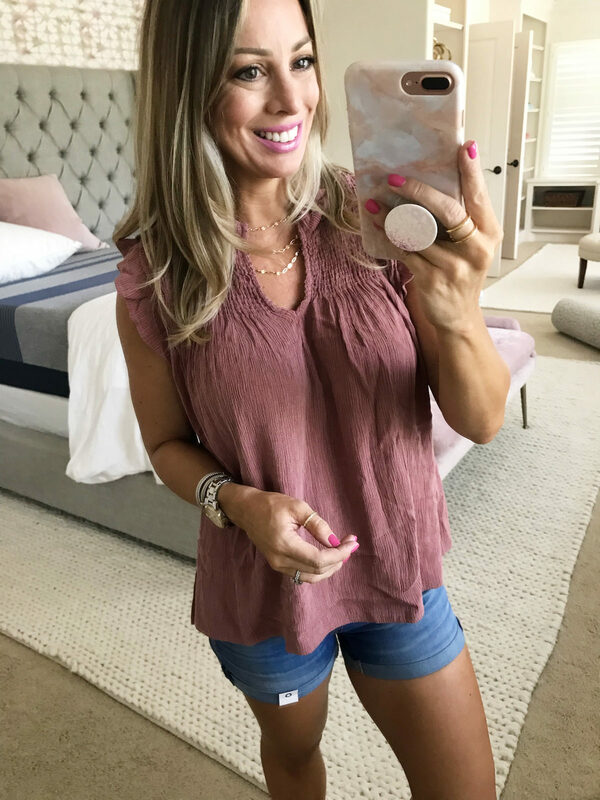 This tank comes in a pretty fall mauve with a cool knot look! And this tank has bold stripes with a polka dot pocket! My picks: Nikes for $45! Cute relaxed 3/4 Sleeve Tee for under $8! My picks: This super cute ruffle sleeve dress in conservative black or navy, or pretty pink! A good chambray shirt is a closet staple and this one is the perfect fit! My picks: Love this little smocked shirt and this short sleeve button down in cool prints! Hope you enjoyed this try-on haul! I truly can’t get enough of the leopard print shoes! Have a great weekend friends! See you back here on Monday with our Living Room organization and new ottoman and a few cute decor things! That crochet top is gorgeous! The color really pops, and I love how you could layer it with a blazer for the fall. Happy Friday! I am one of your silent reader who has been with you for last almost 8 years when you just started your blog. I feel like, I know you enough now. I am always impressed by you and your success. I think I found you via Courtney’s blog. 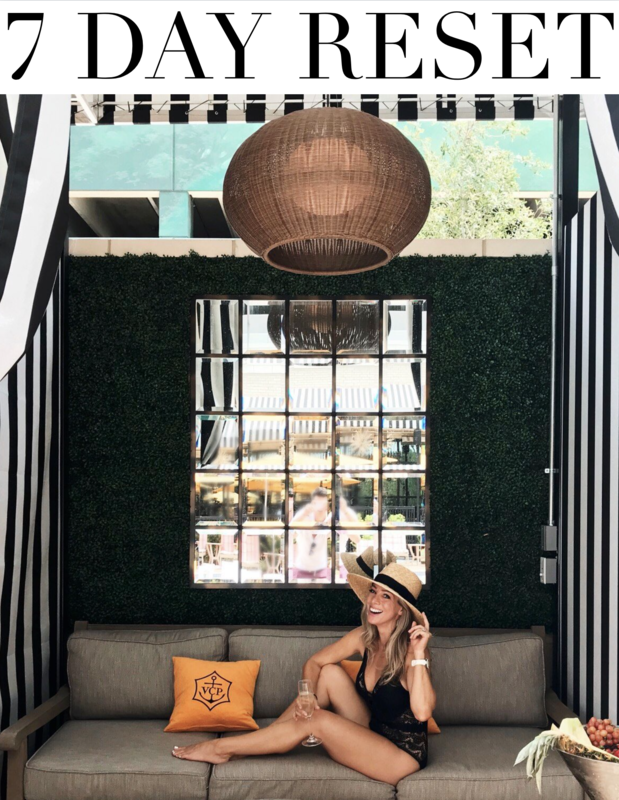 Courtney, a thoughtful blog, in my own style and one other blog I have been watching for last 8 years. 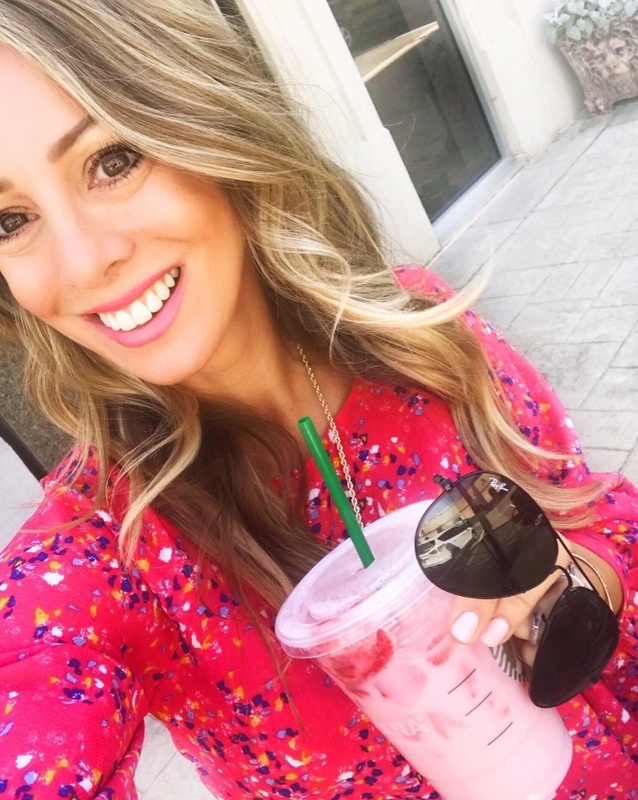 I recently created my own blog after reading one of your post about blogging where you mentioned that you no longer practice law and blogging is your full time hobby/ career. I would love you to come and visit my blog and I would also love your advice about how to be persistence on the is road. Thank you so much for reading that long Bushra! I will definitely stop by! 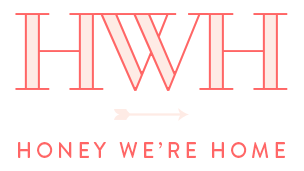 I hope you enjoy blogging as much as I have over the years! You are so down to earth woman. Yes, I hoping to enjoy it, as I always wait for your new post to be posted. The thing I love about you that you are very real personality. you don’t hide who you are. I hope I will be able to produce that in my blog posts. I might not be as great writer as you are but I definitely will take inspiration from you. You will look amazing in it Kathy! 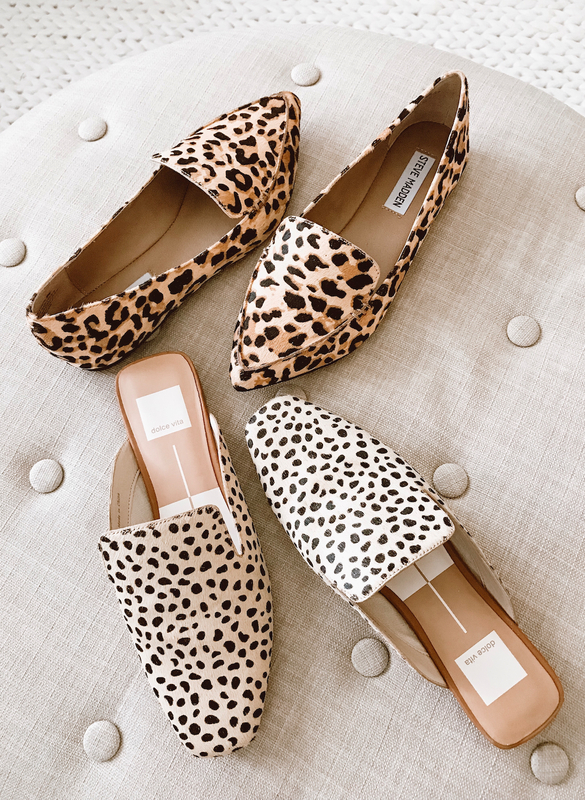 Do the Steve Madden Leopard loafers have any give to them? I didn’t know if they would stretch out any after wearing them.